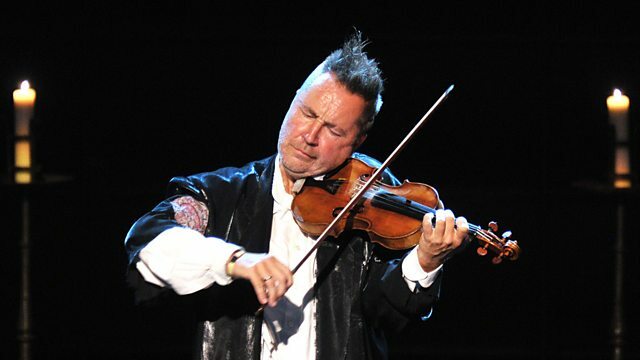 Nigel Kennedy, joined by the Palestine Strings from the Edward Said Music Conservatory, returns to the Proms to give his distinctive version of Vivaldi's Four Seasons. At the Royal Albert Hall, Clemency Burton-Hill introduces violinist Nigel Kennedy, who returns to the Proms to give his distinctive version of Vivaldi's Four Seasons, the work he recorded to great acclaim 25 years ago. Joined by the Palestine Strings from the Edward Said Music Conservatory, Kennedy also adds improvisation between each concerto with members of his own Orchestra of Life. Performer: BBC Symphony Orchestra. Conductor: Michael Seal. Music Arranger: Nigel Kennedy. Performer: Nigel Kennedy. Performer: Palestine Strings. Performer: Members of the Orchestra of Life. Performer: Nigel Kennedy. Performer: Mostafa Saad.